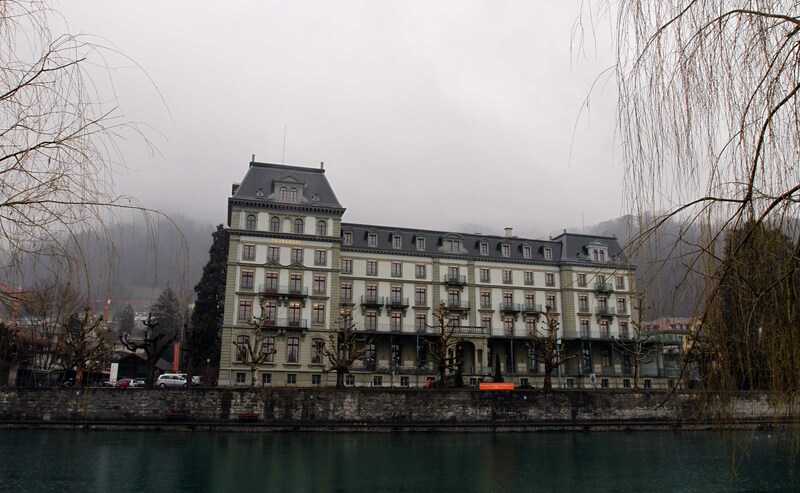 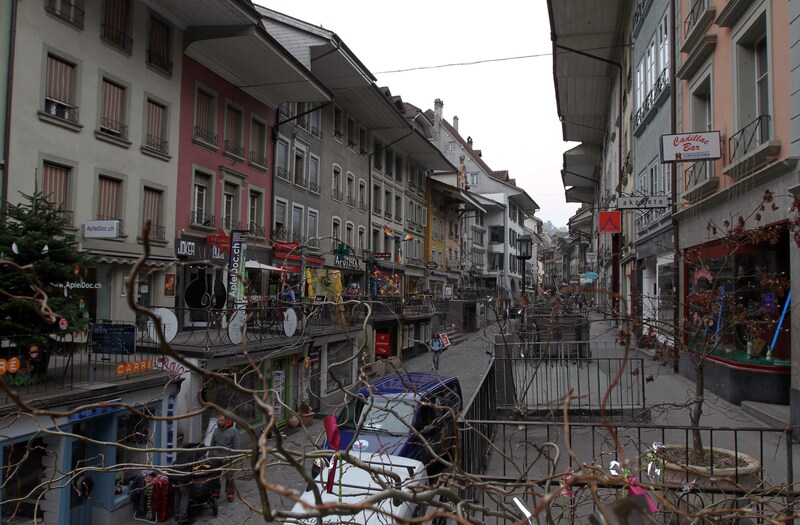 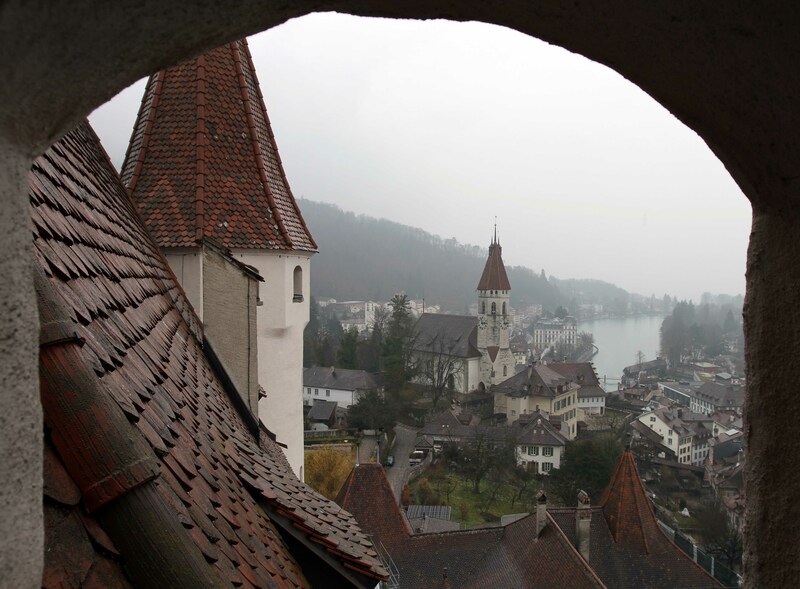 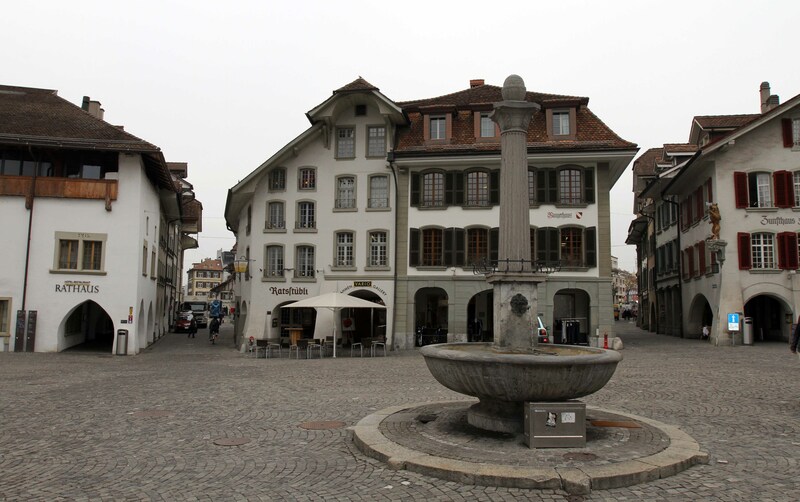 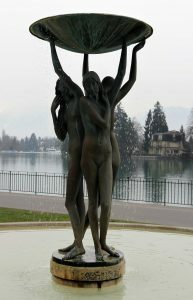 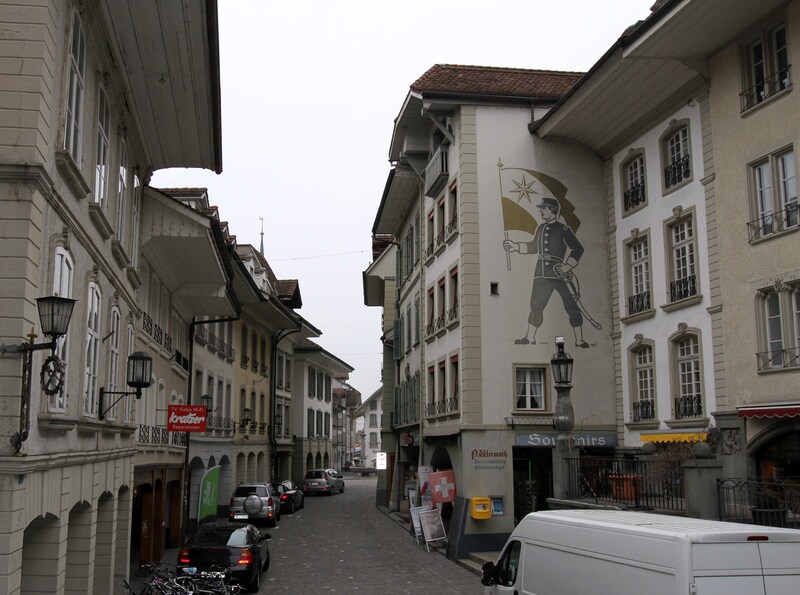 I visited Thun on March 28, 2013 (arriving from Bern) and stayed the night there before continuing on my way to Mürren; what follows are some of the photographs I took while I was there. 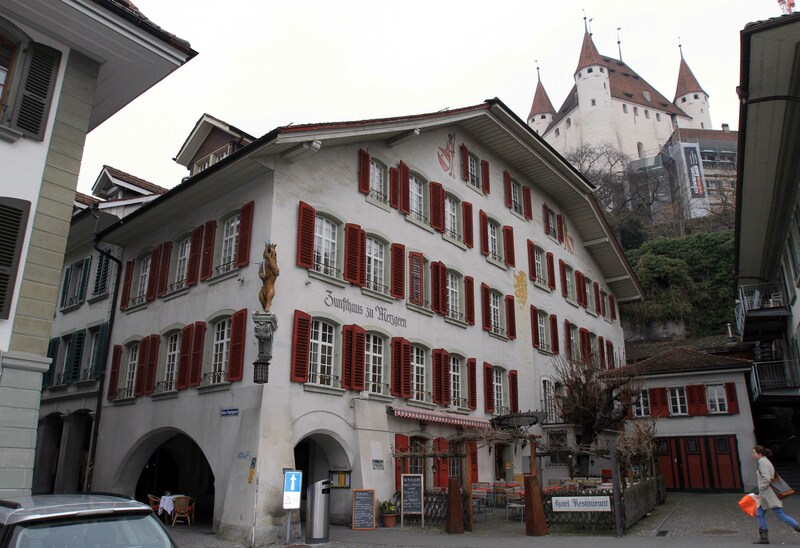 Zunfthaus zu Metzgern (a hotel and restaurant in Thun) with Thun Castle towering over from behind. 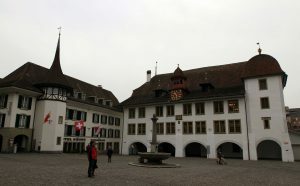 The Rathausplatz (“City Hall Square”) with the Town Council Hall of Thun on the right. 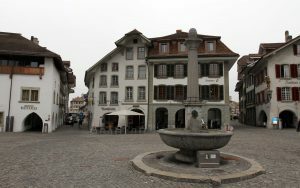 The fountain in the center of the Rathausplatz. Obere Hauptgasse in Thun, looking toward the Rathausplatz. Obere Hauptgasse, looking northeast, away from the Rathausplatz. 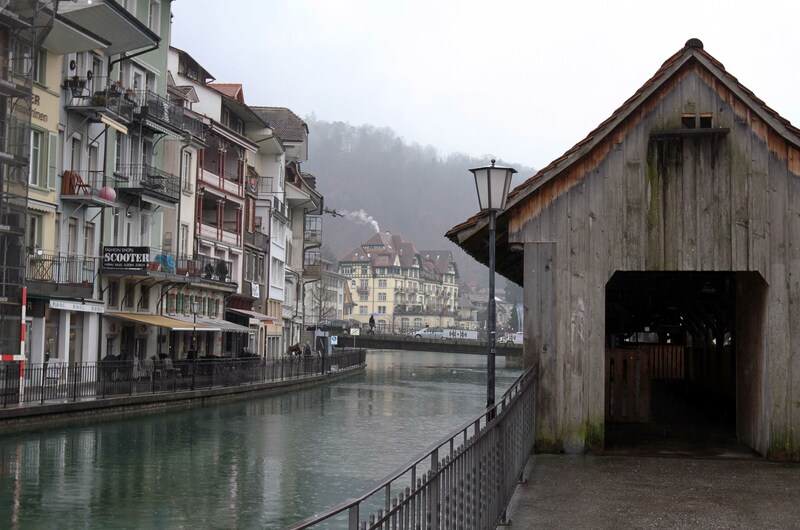 The Untere Schleuse – a covered wooden bridge over the Aare River in Thun. 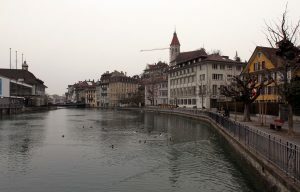 Another view of the Aare River in Thun. 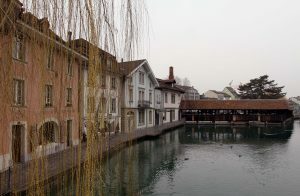 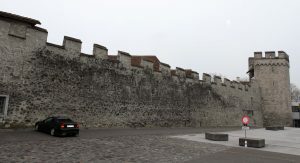 Remnants of the old city wall in Thun. 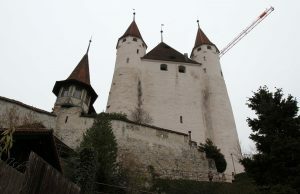 Thun Castle (built in the 12th-century AD). 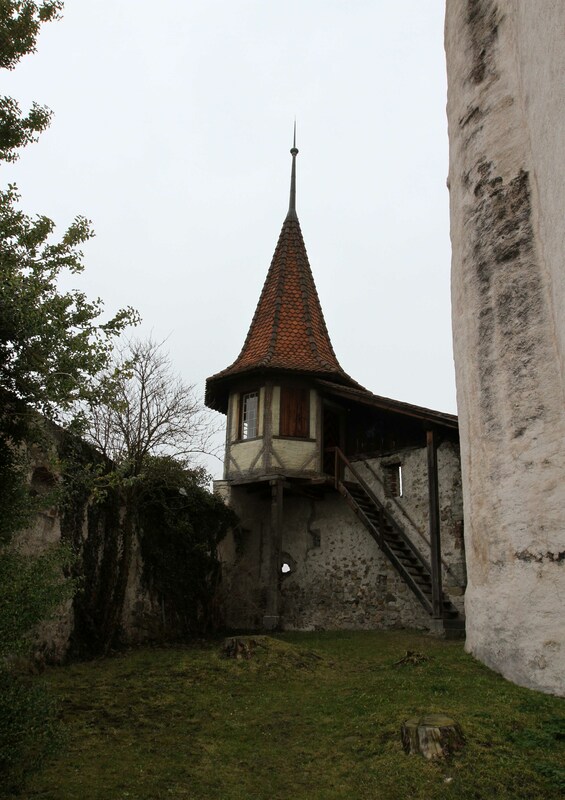 Small watch tower at Thun Castle. 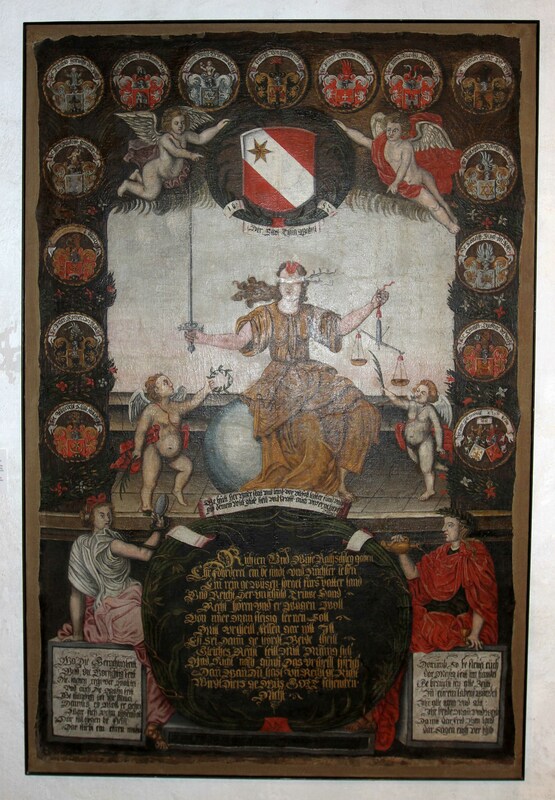 Painting found in the Thun Castle museum. 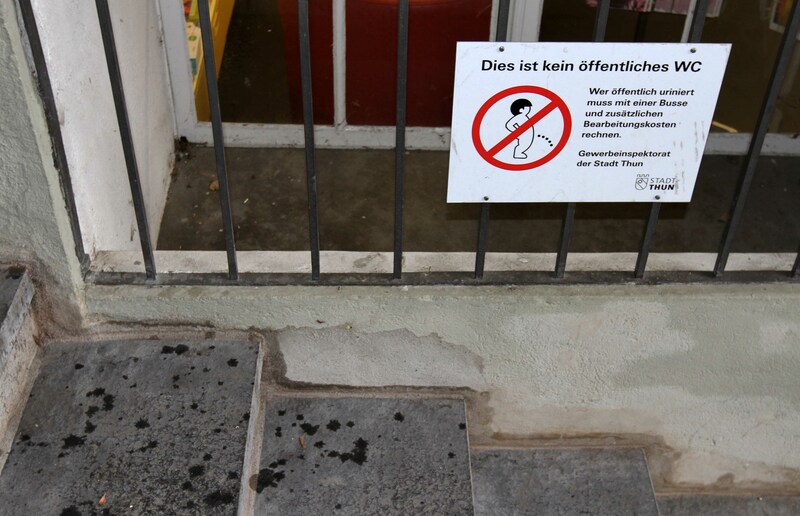 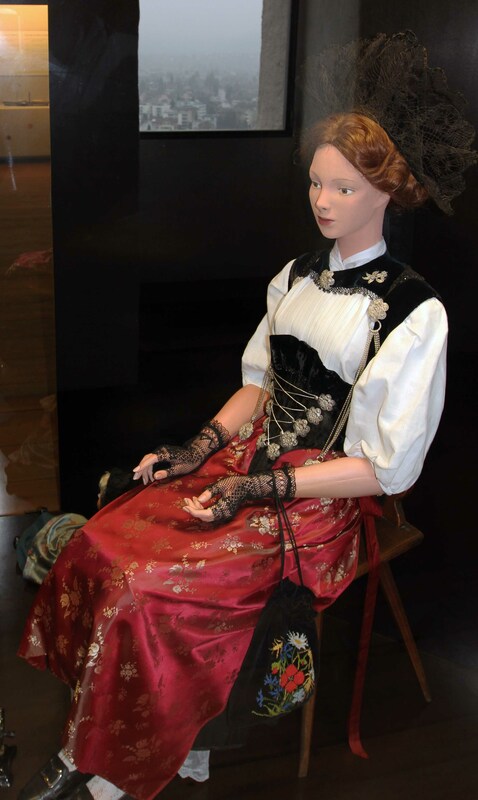 Traditionelle Kleidung für die Schweizer Damen. Thun with the Aare River and the Stadtkirche in view, seen from one of Thun Castle’s corner towers. 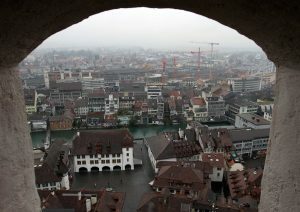 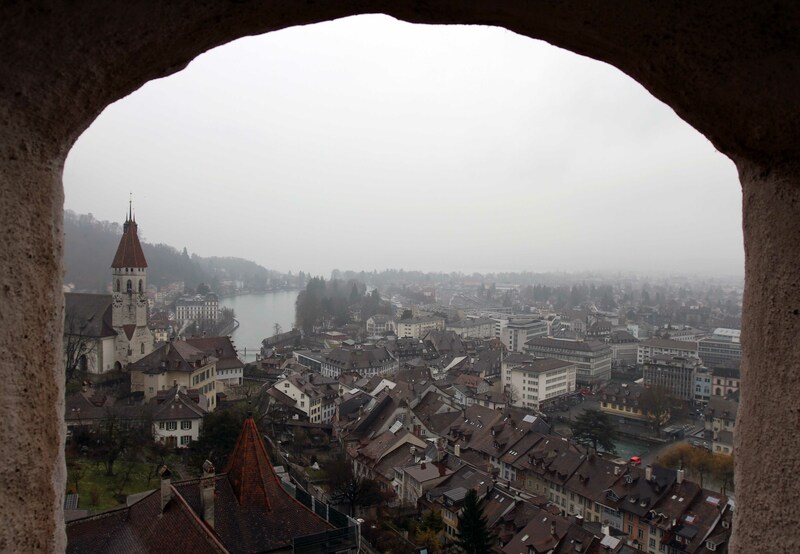 The Rathausplatz seen from Thun Castle. The Stadtkirche and Thun Castle’s southeastern tower in view. 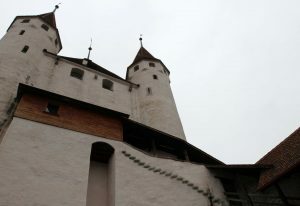 Looking up at Thun Castle. 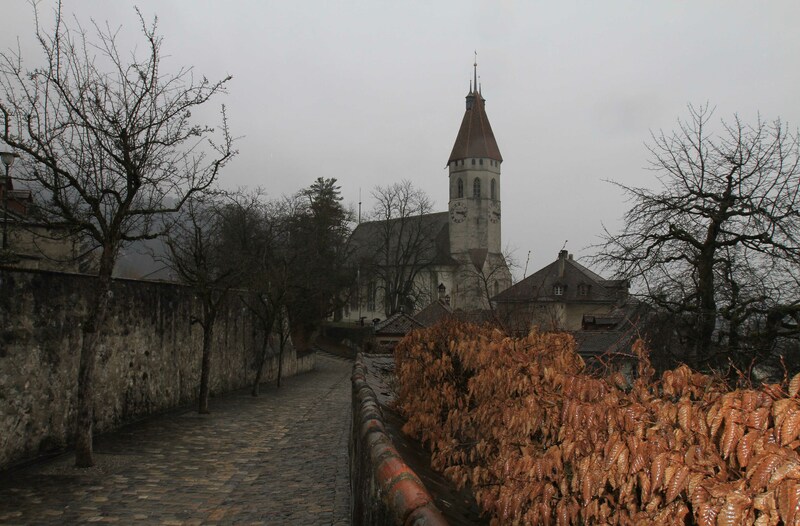 Cobbled path leading to the Stadtkirche of Thun. Entrance to the Untere Schleuse (one of two covered wooden bridges in Thun). 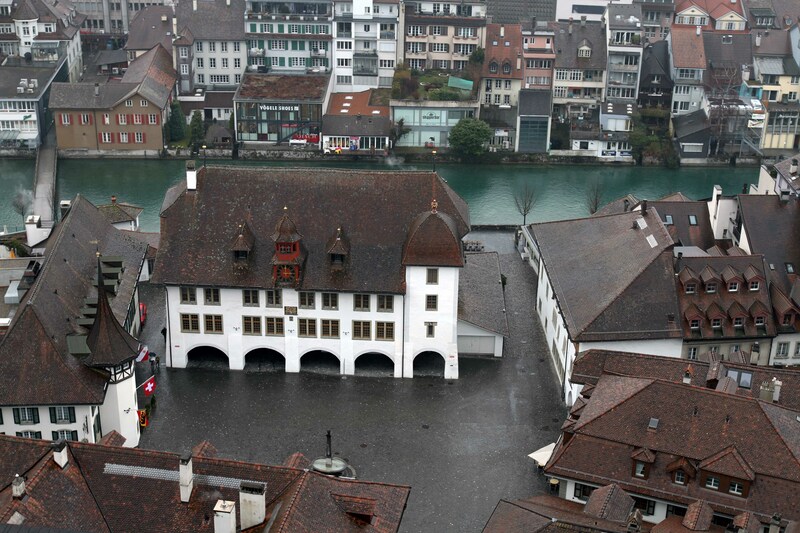 The Thun Kunstmuseum (“Art Museum”) on the Aare River. 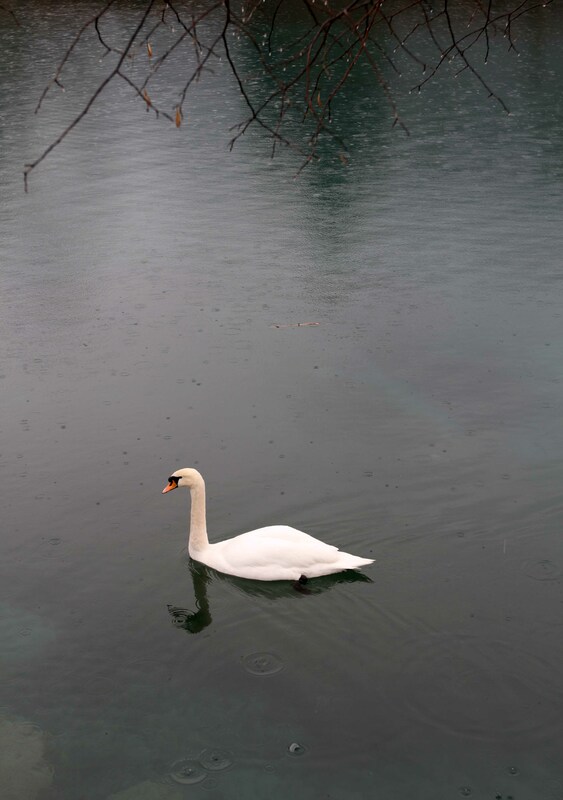 Swan in the Aare River. 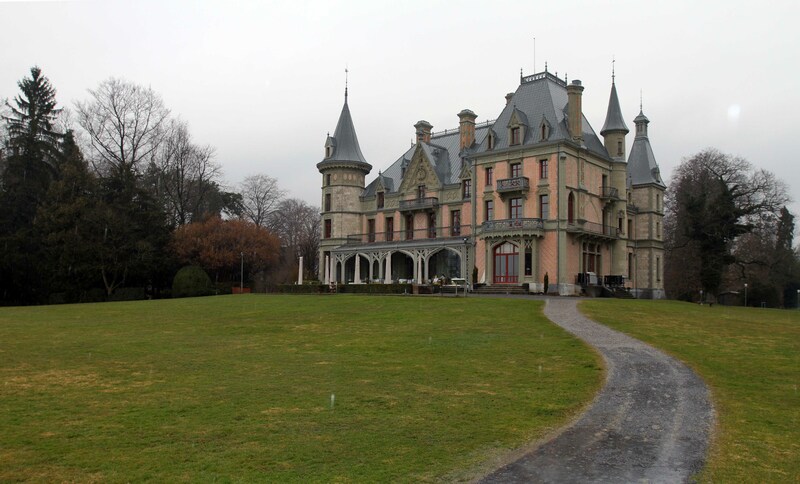 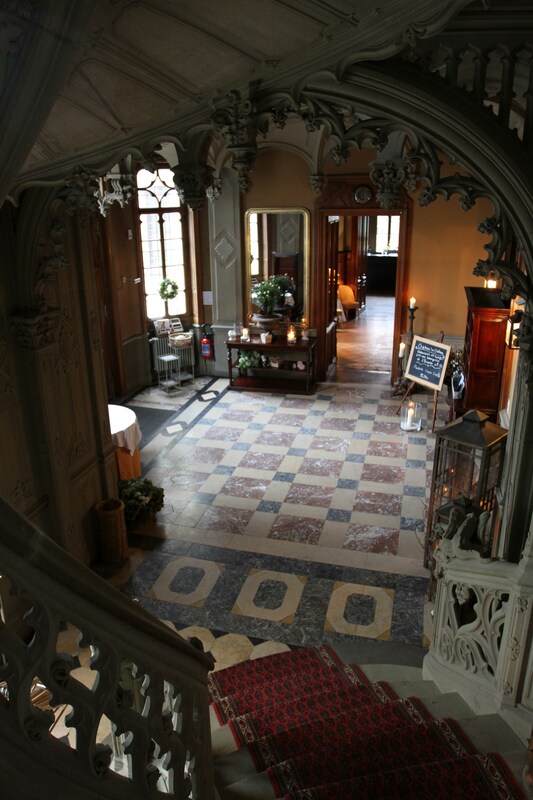 Schadau Castle; built in 1854 AD, it now houses the Swiss Gastronomy Museum. 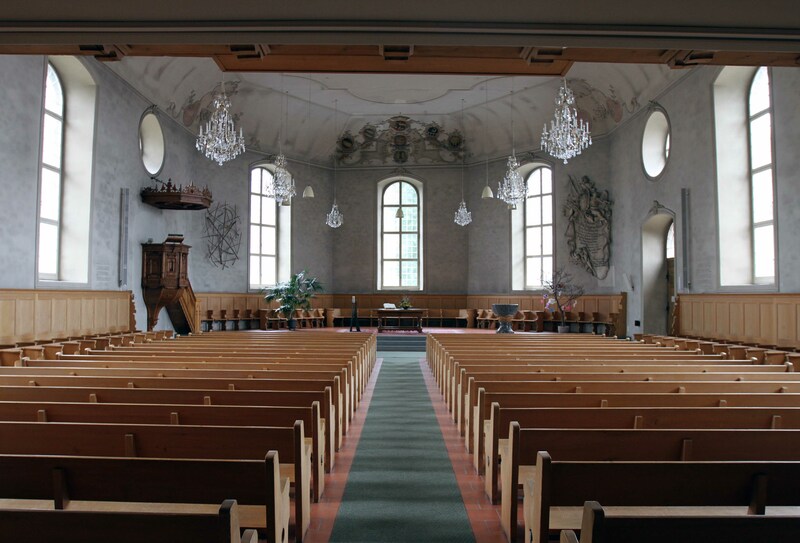 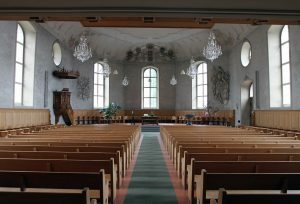 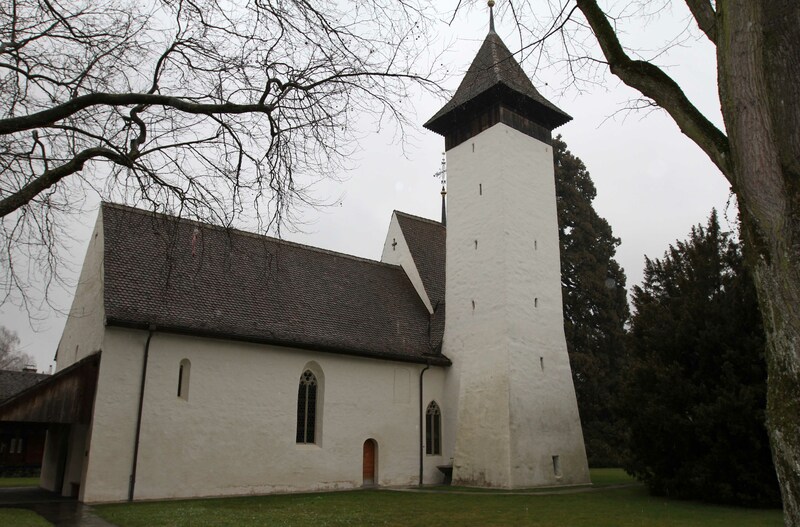 Kirche Scherzligen – a church that dates back to 762 AD. 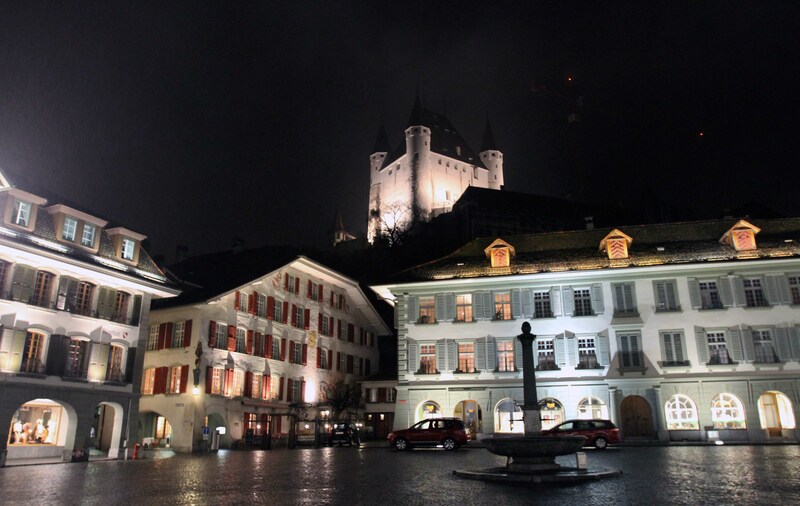 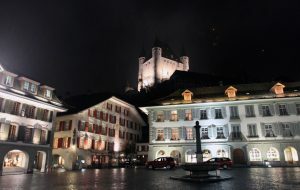 Rathausplatz and Thun Castle at night. 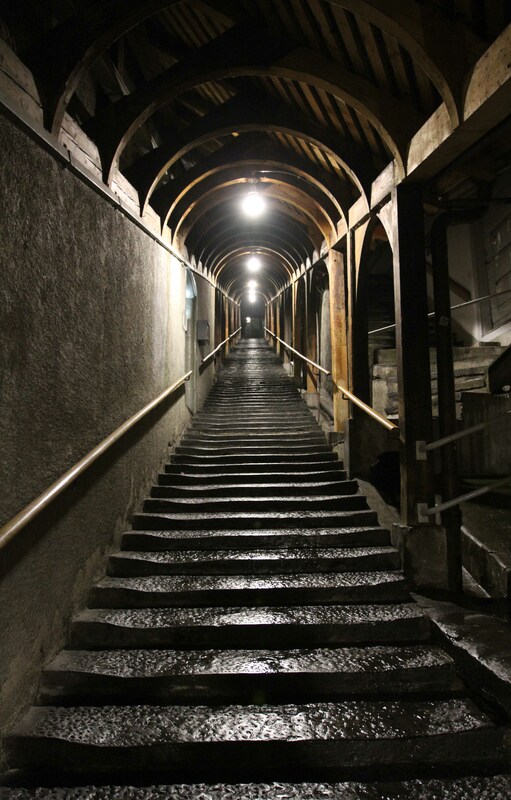 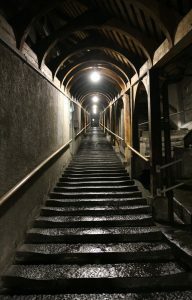 Covered steps leading up from the old town to the castle hill. 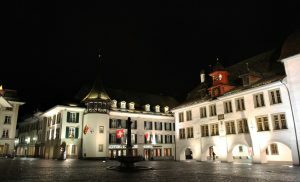 Another view of the Rathausplatz with the Town Council Hall of Thun in view.